If you have ever tried collecting fish larvae in an aquarium it is a time consuming tedious task, that will usually require you to stay up late at night after the lights go out with minimal results. The Vossen Larval Trap is a very simple and easy to use for fish fry and larvae. 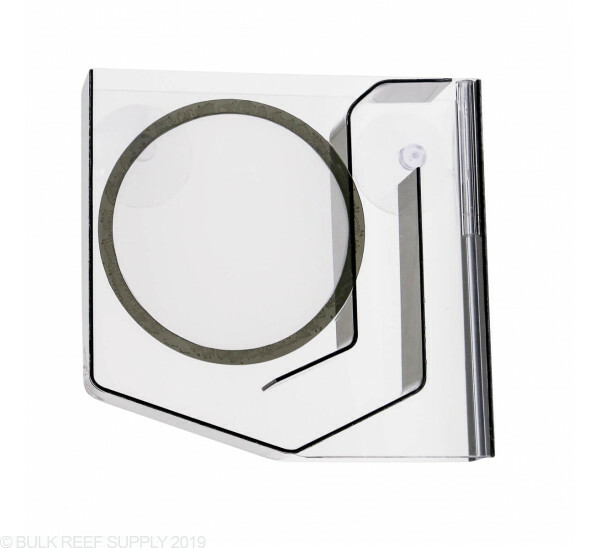 The included suction cups will firmly affix the trap to the side of your aquarium while the air pump (not included) will create a gentle flow of water up and into the trap where the fry can be safely and efficiently moved to a larval system. Every year more and more people are learning how to breed the fish that are currently in their tank. The more we learn about how fish reproduce and how to raise them, the more sustainable, and successful the hobby will become. The Vossen Larval Trap has been designed to aid in the collection of larvae from the tank allowing a substantially higher yield of fry than other methods would allow with much less stress. The included battery operated LED light will lure the fry into the trap where the gentle flow created by the bubbles will raise the larvae into the trap secluding them from predators and allowing easy transport to the larval system. 1. Insert the included suction cups into the larval trap. 2. Suction cup the larval trap on the side of your aquarium with the very top of the trap barely breaking the surface of the water. If the trap completely submerged it will allow fry to escape through the top. 3. Connect flexible airline tubing to rigid airline tube and place in the airline guide located in the entry path of the trap. The rigid airline tube should not extend past the bottom of the larval trap. 5. Turn on the air pump and tune the flow rate to approximately 2 - 3 bubbles per second. Bubbles should not be escaping outside of the entry path into the larval trap. 6. Using clear tape, attach the included LED light to the outside of the aquarium. The LED light should shine into the entry path of the trap, luring larvae into the trap opening. Note: Air pump and airline tubing not included. If they were to improve on this model, the only thing i can recommend is putting a bit stronger light on it. I did have to use the light on my cell phone to really "direct traffic". Important to remember to turn off as much water flow as you can, but leave the overflow for simplicity. Elegant in its simplicity, this is a very solid product. I see this product used by professional and expert Aquarists all over the country. Dont hesitate to pick one up. I've used the Vossen Larval trap many times. It does a fair job at catching the larvae of something like a clownfish, but what it has really excelled at for me is the capture of larvae from shrimp and crabs. Clownfish seem better able to avoid the suction that is created at the entrance of the trap, whereas shrimp are drawn like moths to a flame with no hope of retreat. I'd strongly suggest adding a needle valve inline between the air pump and the trap to allow for fine tuning of the air flow. I think I'd be called out as a shill if I gave this trap 5 stars - I can always think of ways to improve something. 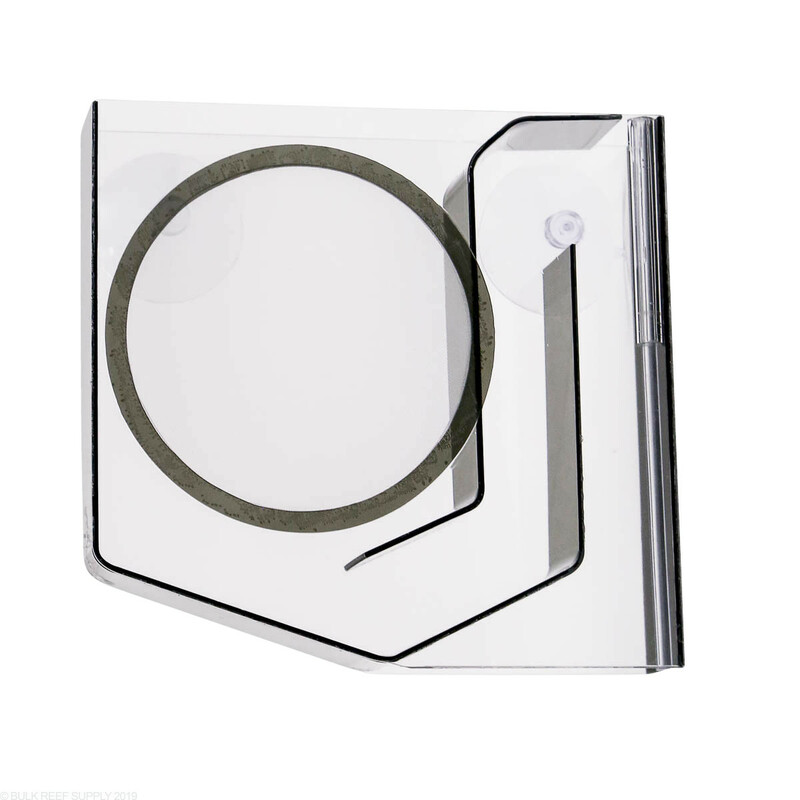 This - I might look at a clamp that allows for the trap to rest flush against the front of the glass...I had some larvae get trapped between the glass and the trap, ultimately dying there. I've wondered if a stronger light source would work better for clownfish, or perhaps some sort of flow reducer on the suction end might help it better trap stronger fish larvae. Obviously this trap won't collect pelagically spawned eggs or species that hatch as prolarvae, nor will it collect things that are not positively phototaxic. And hey, it could always be made with slightly thicker materials (but that would probably substantially increase the price). This trap has been refined for years and has earned its spot in the toolbox of every fish and invert breeder. Hi - does the included light come with an attached suction cup? I noticed the one I got doesn't have one. So that means I have to purchase the (3rd) suction cup separately? Thanks! Can this trap be used to collect baby shrimp?